When you are a CAL student, you often find yourself putting everything into a medical analogy. As CAL students, making medical analogies would make the anatomy tests easier. You would do anything to aid in studying for a test. For those of you who do not know what CAL is, it is a program through Mt. Hood Community College to get a head start on college classes in high school. Last year, I met this awesome girl while I was at CAL. We were both in the medical program there, and we became really good friends. Now that we have graduated, we obviously don't get to see each other everyday like we used to, but last week Victoria and I planned to get together at Fat Straw on Hawthorne for today. We met up at Fat Straw, and oh I missed seeing her face! It was so good to see this wonderful friend. As a "thank you" for driving out to Portand, I bought her bubble tea. I was just so excited to see her and get to catch up with her. This was her first time trying bubble tea, and she loved it! It is quite different from regular milk tea or a smoothie. 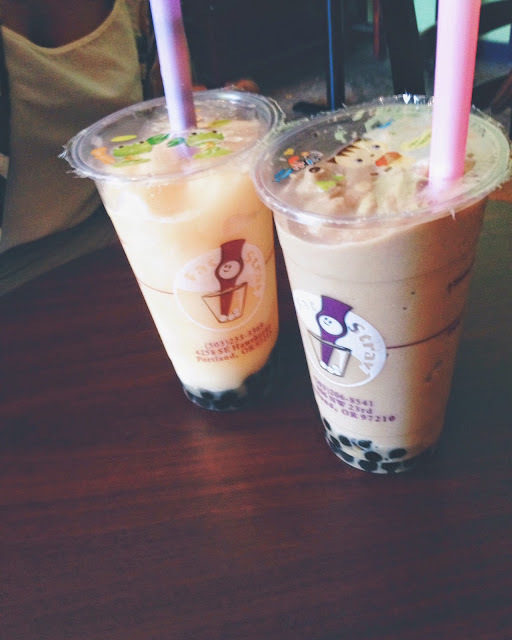 It has boba or tapioca pearls at the bottom, and it just so amazing. 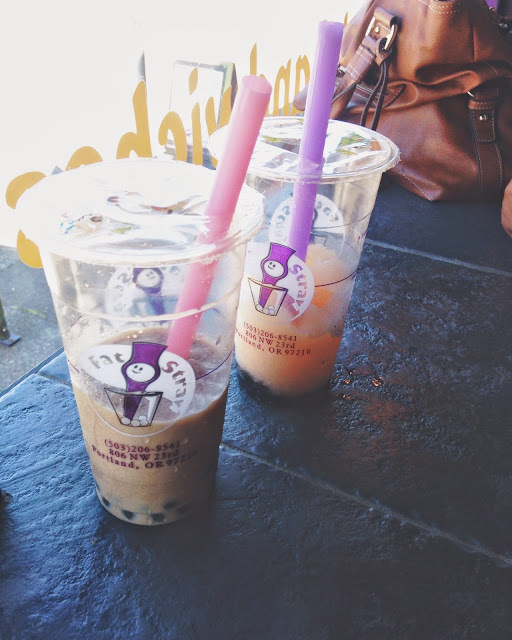 I am the bubble tea connoisseur. Victoria got a cantaloupe smoothie with boba, and I got my usual coffee smoothie with boba. Why am I afraid to merge away to a different flavor? Does it matter? No. No it does not matter. Stick with what you like. Victoria and I waited till the raised seating area was cleared, and we went to sit by the window. We talked about CAL, and the crazy drama that popped up sometimes. Trust me though, CAL students carry a lot of pride for CAL. We love explaining what it is, and all the benefits of being a CAL student. We talked about what we were doing over the summer, and how we are now adults, and how crazy that is! I really missed her. I asked her if she wanted to walk up to Blue Star Doughnuts and grab a treat. 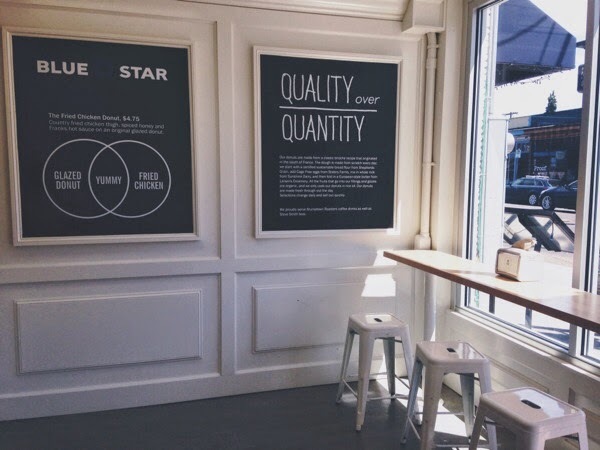 Blue Star Doughnuts is a pretty famous Portland stop-by. 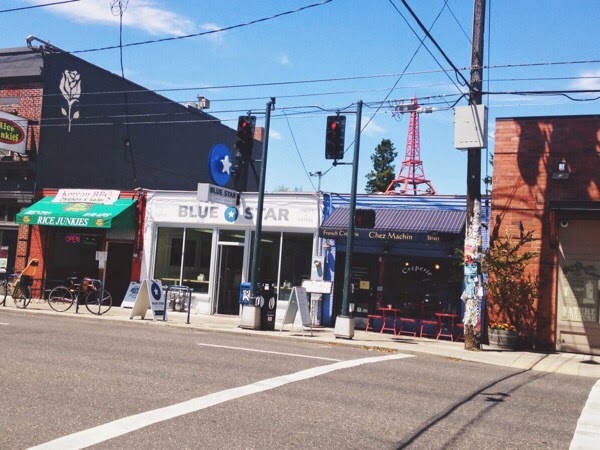 As we were walking down Hawthorne, we stopped by a few shops. There was this one beauty boutique that offered all-natural and homemade products. I definitely need to go back there and buy some makeup, soaps, and incense. They had nice incense there. 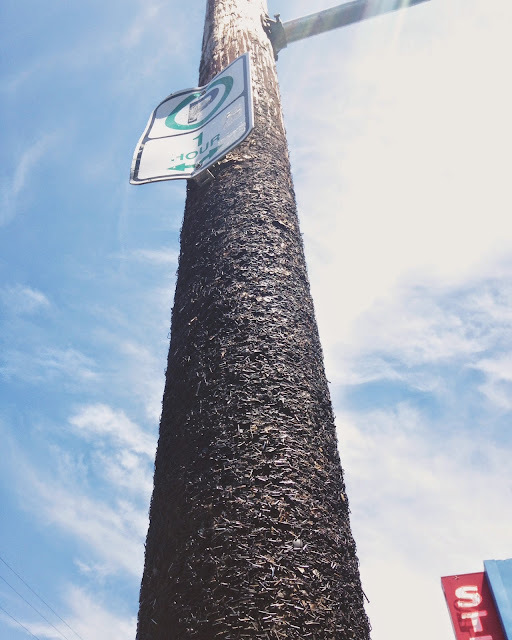 We also passed by this telephone pole that was covered in staples, and nails, and pins. 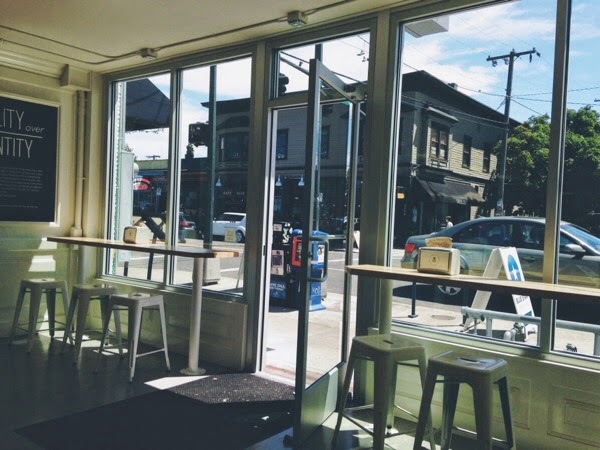 If you are familiar with the Portland culture, you know that telephone poles are the way of advertising for concerts, small businesses, or sales. 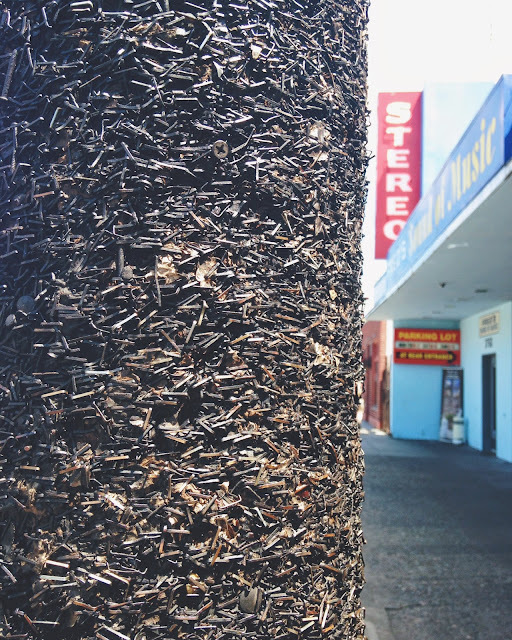 Telephone Poles are covered with paper posters and staples. It was crazy to see. This is where the medical analogy takes place. Victoria and I were talking about Portland, and we wondered what street, what neighborhood captured and displayed Portland perfectly, the heart of Portland. We knew it was not Hawthorne, but I called Hawthorne a major vein or artery of Portland. This is what CAL gives us, the ability to put anything into a medical analogy. 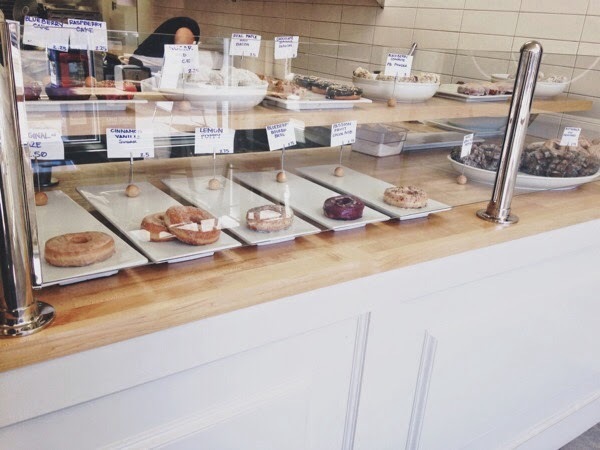 When we arrived at Blue Star Doughnuts, they had a display of delicious doughnuts. 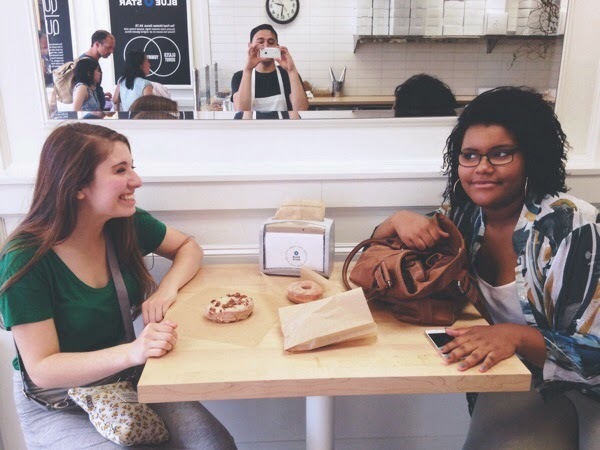 Of course they had a maple bacon doughnut, Portand is notorious for the maple bacon doughnut due to VooDoo Doughnuts. 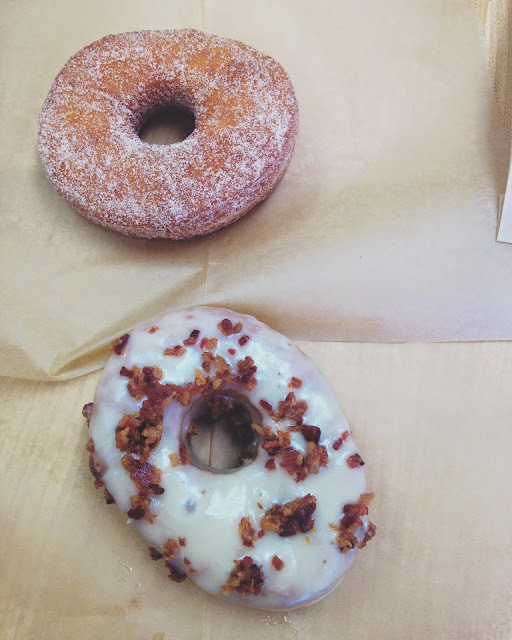 I ordered the maple bacon doughnut, and Victoria ordered the cinnamon sugar doughnut and the maple bacon doughnut to go. I asked the employee working there if he could take a picture of us, and he pointed my phone at us, and then he looked out from behind my phone and told me that I had a big booger hanging out of my nose. I quickly covered my nose, so embarrassed and I asked Victoria if it was true and she shook her head. What a weirdo! I think he was just trying to get us to smile, but I was just confused more than anything. It did make us laugh, and it was super funny. 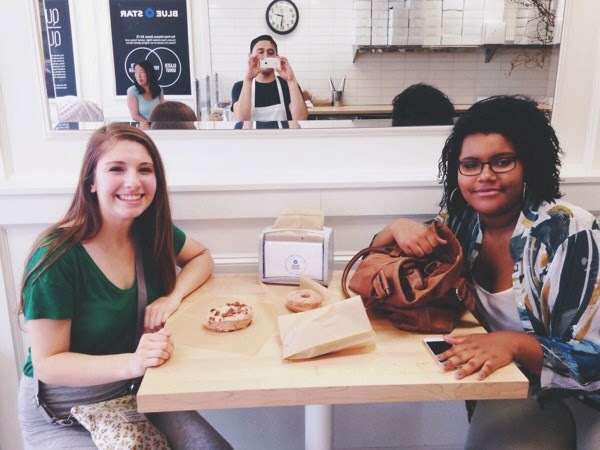 It was a fun experience treating ourselves at Blue Star Doughnuts. It was fun seeing Victoria today. 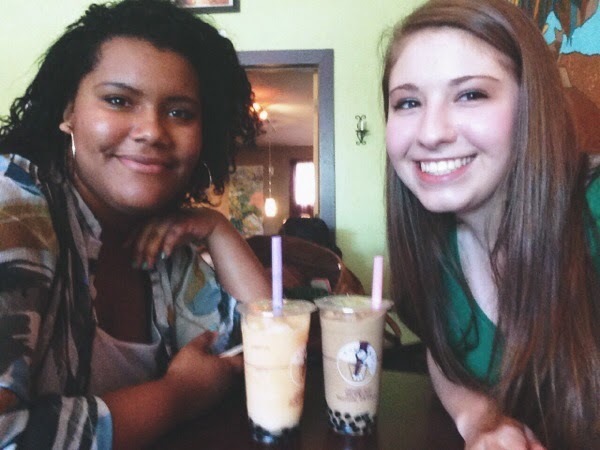 I really missed her and it was a great adventure, and I am glad that she likes bubble tea.